Caption slip reads: "Monday. Photographer: Lapp. Date: 1951-08-24. Reporter: Cowles. Assignment: Mrs. Varney, 100 years old. 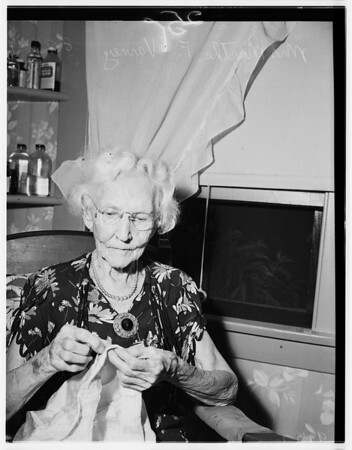 31-32: Mrs. Martha F. Varney with sewing -- she celebrates 100th birthday Sept. 2."